Thinking of buying a small wood or just like the idea? Do you have some woodland on a farm or smallholding, but not quite sure what to do? This is the book for you. Badgers, Beeches and Blisters, Tree planting and woodland ownership by Julian Evans and Ken Gill. This book is a specially revised and updated edition in partnership with Crann. 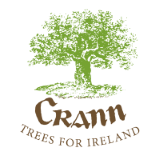 Aimed at woodland owners – potential and existing – in Ireland incorporating the latest information concerning rural regulations that affect forestry and forestry grant schemes. Published October 2008. You can order a copy of this book by sending €18 (includes postage & packaging) by cheque/postal order (payable to Crann) to Crann, PO Box 860, Celbridge, Co. Kildare. Please include your full name and address and we will post a copy out to you.